High quality care will only be available to those who can afford it unless proper funding is offered to pay staff the new national living wage, a charity has warned. Around half of the country’s care home staff – some 300,000 people – will be eligible for a pay rise when the new minimum rate of £7.20 an hour comes in next April. But a study by the Joseph Rowntree Foundation found that this will cost the industry – already struggling beneath the weight of government cost-cutting and an ageing population – an extra £387 million a year. 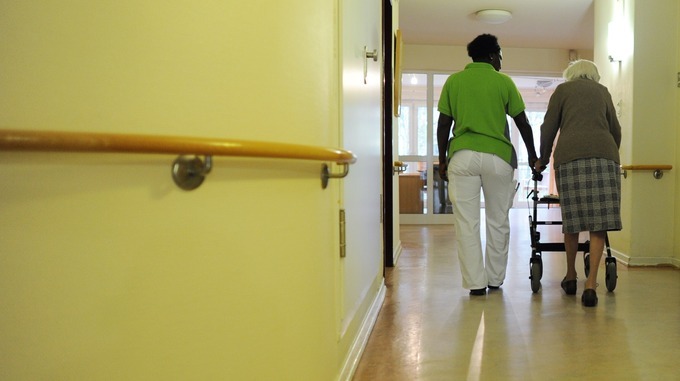 Care homes in areas with a large number of council-funded positions will be put at particular risk, the report warned. Joseph Rowntree Foundation chief executive Julia Unwin said the impact could be “devastating”. ‘The new national living wage is a welcome step towards a higher pay economy with lower need for welfare, and is good news for those working in traditional low-pay sectors, such as care. However, care homes are already under financial pressure and if proper funding is not provided to help with these additional costs, the Government risks creating a two-tier care home system where good care is only available to those who can pay for it. This would be devastating for those who are unable to meet these costs themselves, and would have an impact on the wider economy.